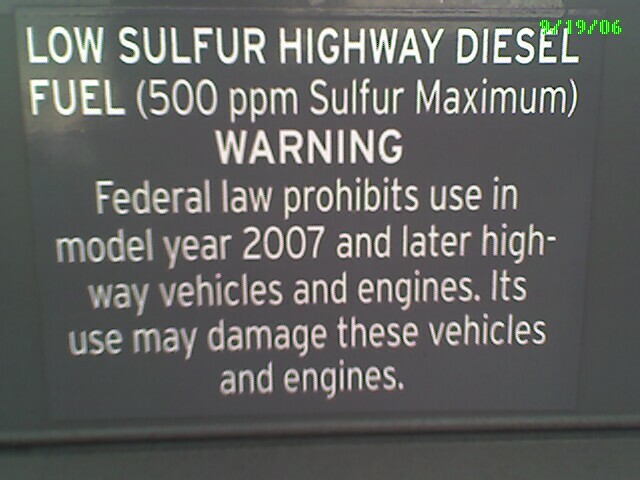 Saw this at Chevron on the gas pump. 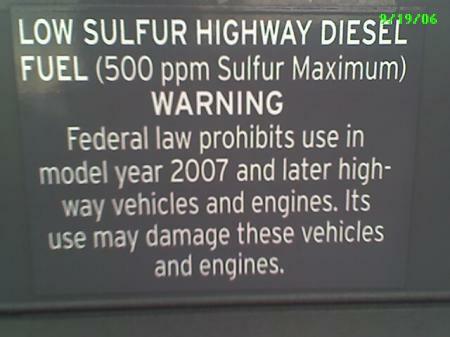 Might want to hold off on buying that new 2007 turbo diesel vehicle folks. Apparently you’ll have to wait until October 15th for your fuel. You can be happy to know that until Oct. 15th you too can add to acid rain in the earth’s ecosystem.